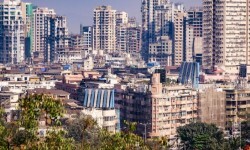 A move that would warm the cockles of real estate developers’ heart, the Maharashtra government on March 31 decided to leave ready reckoner (RR) rates unchanged for the financial year 2019-20 (FY20). For the uninitiated, RR rates, also known as guidance value and circle rates, are the lowest permissible rate at which a property can be registered across Indian states. These rates vary from state to state, and are subject to periodic revision. Based on the circle rates, buyers have to pay the stamp duty, registration charges and other taxes on their property purchases. In simple words, a hike in RR rates amounts to properties becoming costlier. Since property in state capital Mumbai is already among the least affordable in the world, the government move to leave the RR rates unchanged would benefit real estate developers in the city who are struggling to sell large number of unsold housing units. According to the Economist Intelligence Unit’s Worldwide Cost of Living 2019 index, Mumbai is the 122nd least affordable market in the world. In Mumbai’s posh Peddar Road, for example, RR rates for apartments stand at Rs 650,600 per square metre (psm) while land price is Rs 369,300 psm. At Napier Road, RR rate for apartments is Rs 861,000 psm. For land in this locality, RR rate is set at Rs 475,400 psm. The prevailing RR in the Colaba division is Rs 282,700 per square metre (psm) for apartments while it stands at Rs 152,800 psm for land. Even in Dharavi, which has the dubious distinction of housing one of the world’s largest slum establishments, RR rates stand at Rs 88,000 psm for flats. The fact that RR rates of property in Mumbai are often way lower than the market rate is another factor that it substantially hikes the cost of purchase for homebuyers. 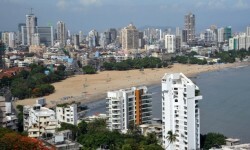 For instance, circle rate in Mumbai's Worli was Rs 32,293 per square foot (psf) in 2014, while the market rates stood at Rs 60,000 to 62,000 psf, according to Capri Global. Property transactions became costlier last year when the state government approved a move to levy one per cent surcharge on property transaction, increasing stamp duty rate to six per cent. High rates are seen impacting home sales in the city. Data available with PropTiger.com show real estate developer in Mumbai were collectively sitting on an unsold inventory of 297,120 units in the third quarter of financial year 2018-19 despite the fact that home sales increased 54 per cent during the quarter. Consequently, there was a 48 per cent year-on-year fall in new launches in the city in that quarter—only 8,749 units were launched in Mumbai in the quarter ending December.